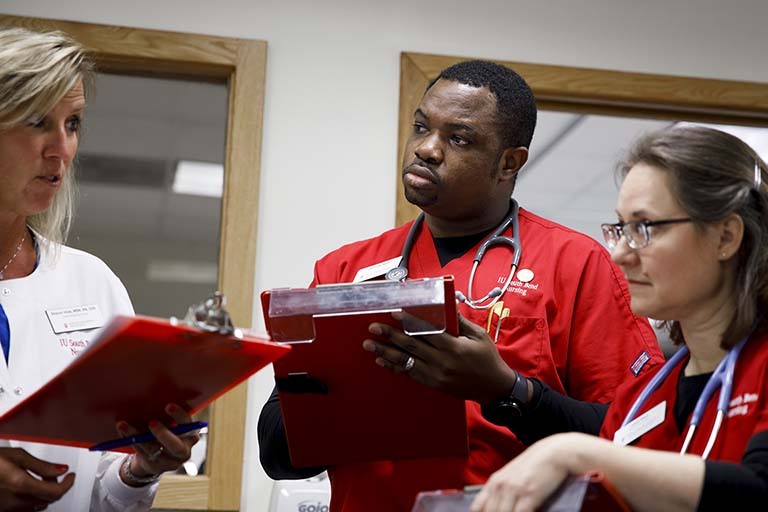 Indiana University’s RN to BSN Degree Completion Option has a contemporary curriculum that reflects the competencies nurses need to practice in the current health care system. It’s relevant to working RNs who want to return to school, and to their employers. The goal is improved practice; so the curriculum reflects the American Association of Colleges of Nursing (AACN) BSN Essentials document. The clinical learning experiences or practicums are creative, flexible and meaningful to today’s nurse, taking into account previous learning and career goals. Your previous academic education and work experiences are valuable. If you believe you have the appropriate education or experience to receive credit for a course in the RN to BSN Degree Completion Option, please identify the specific course, review the course description and expected outcomes, and notify your home Indiana University campus of your desire to provide evidence of having met the course outcomes. If you are successful, you will be awarded special credit for having met the course outcomes. Up to six (6) special credits may be earned toward degree completion. The remaining 30 credits, including Capstone and electives, must be taken through Indiana University in order to meet the residency requirement.